I would say that it is user friendly, though some of my coworkers may disagree. I like the call taking screen's format. We have gone through other vendors recently, and I strongly prefer this vendor. There are too many different boxes for 1 application. It is too customizable, and I wish it was all able to fit in one screen instead of 3. Pretty sure it's about to be absorbed by another company, so I'd hold off any contract negotiations until they are done. Who knows what kind of product they will have by the end of the merger. Some users enjoy the customization, it gives each of us the ability to organize the screens how we process it best, which lends to efficiency. The process to get a call queued is extremely easy. Our queue times for high priority calls are under 30 seconds, which is extremely important in our line of work. 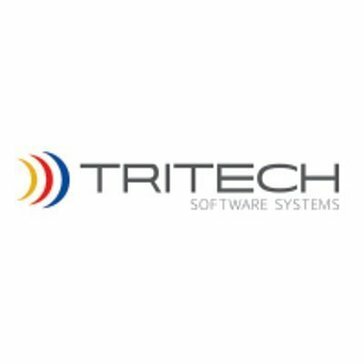 Tritech is one of the most user friendly and updated dispatching software programs out there! It is leading in dispatch software and it’s easy to see why. Nothing! Whenever there is an update needed, it is done within a timely manner and there is always ways to make the program your own and cater it to your needs. We are solving massive communication issues, along with being able to solve accountability issues with our officers and deputies. * We monitor all Inform reviews to prevent fraudulent reviews and keep review quality high. We do not post reviews by company employees or direct competitors. Validated reviews require the user to submit a screenshot of the product containing their user ID, in order to verify a user is an actual user of the product. Hi there! Are you looking to implement a solution like Inform?